There are a total of 4 categories, with each 5 levels. A total of 20 games. All games need to be completed and won against 3 hard A.I’s at least once. 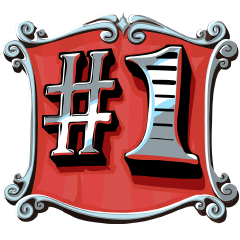 Each level has its own trophy that requires an specific action or requirement to be met. A few you will be able to complete on your first try, but some others will require a few tries before you will be able to achieve them. Post Master: The long run. Puck Chucker: Slap ‘n spin. Battle Balloons: 3 in one blow. You will need to play a total of 25 Decathlon tournaments and 10 World Circuit tournaments. You could combine these with stage & stage 2 if you wish. However, I completed those in free play. Decathlon tournaments can be completed in a team setting. Set yourself up with a hard A.I and play against 2 easy A.I’s. The Hard A.I is able to win everything on its own. You don’t need to actually play, just press “X” once in a while to continue. The World Circuit tournaments need to be completed against 3 hard A.I’s and require you to win the tournament. 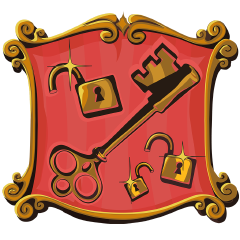 It’s required to play each unlocked level once during this game mode, which will cost you a lot of time. However, if you just erase your save file and reboot the game, you will start all over again. This will only make the default levels available, and that’s only 8 instead of 20. You will only need to play 8 games in order to complete a single tournament, which will save you a lot of time. 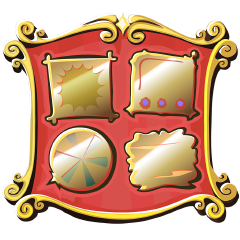 I would only recommend erasing your save file if this is your last trophy required to earn the platinum. You can always save it to a USB and reload it whenever you need it. 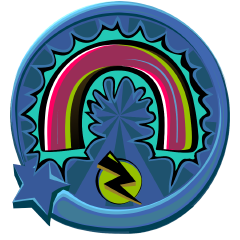 You will earn this trophy whenever you have earned 25 other trophies. 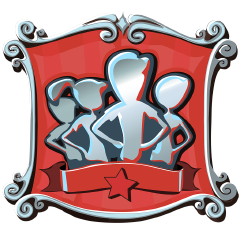 You could see this one as your milestone to completing 50% of the platinum trophy. Win 25 Team Decathlon Tournaments! Decathlon tournaments can be played with 1 AI(hard) against 2 other AI’s(easy). The hard AI on your side of the field will beat the two easy AI’s without any problem. 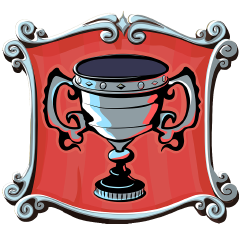 You can of course join in if you are looking to complete trophies on certain levels. Win a total of 5000 tickets! Completing a game will earn you tickets, the higher the score, the more tickets you will get. 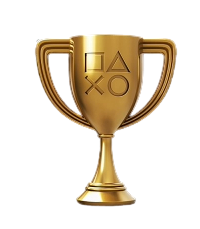 This trophy should come naturally during the game, as you progress. You can spend ticket in the meantime while trying to earn this trophy. The shortest game is “Roll-R-Derby” in case you need to farm a few tickets. 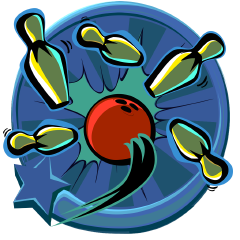 Get 300 points by throwing 12 strikes in a row! 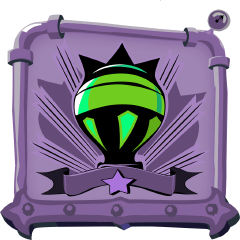 This is one of the hardest trophies in the game. 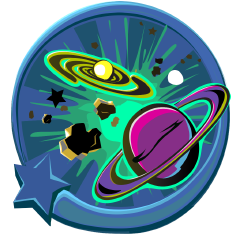 You will need to throw 12 perfect strikes in a row on the game called “Cosmic Strike”. This will earn you a total of 300 points. In order to do so, you need to aim at the middle of the alley, and try to hit the pawns in the middle. It can be a bit hard at first, but after a few tries you should get the feeling to do it right. Please note that you can steer the ball with the left stick. A game can be unlocked by spending tickets you earn from playing games. 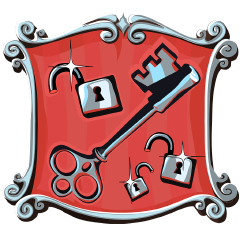 When you unlock all 12 of them, this trophy will pop. Win 10 Team Decathlon Tournaments! See ” TEAM TITANS” for more information. Win a total of 2500 tickets! See ” BIGGEST WINS” for more information. Make it to Round 6! 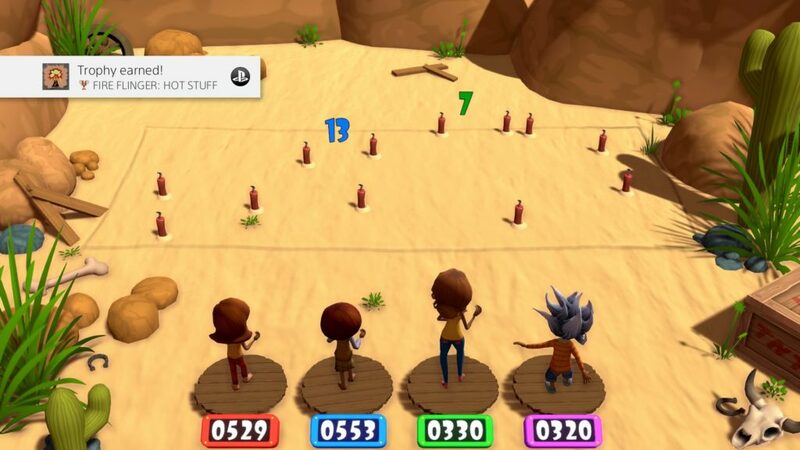 This trophy is very hard to obtain with 3 hard AI’s. 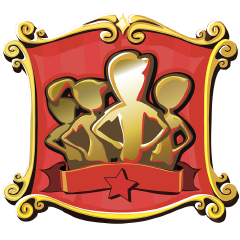 I would strongly advise you to get this trophy with a few friends joining in on local co-op. 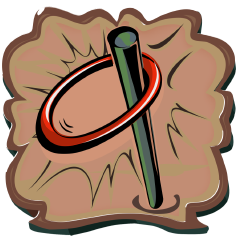 Have them help you reach wave 6, which requires you to hit each pole at least once within the time limit. After you clear all poles, you will advance up a level. The amount of poles will increase, and at some point the time will decrease. Win 10 World Circuit Tournaments against 3 hard A.I. players! You will need to win 10 World Circuits against 3 hard A.I players. It’s best if you erase your save file before trying this trophy. 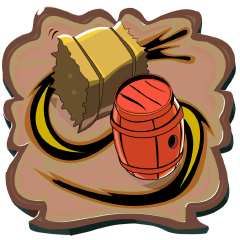 You will have only unlocked 8 games after you have deleted it, making this trophy a lot faster to earn. You will only need to play 8 games during a tournament instead of the 20 when you unlocked them all. Get a cluster of at least 25 cups! 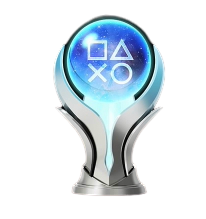 This trophy is best earned when playing against 3 easy A.I’s or with a few friends. 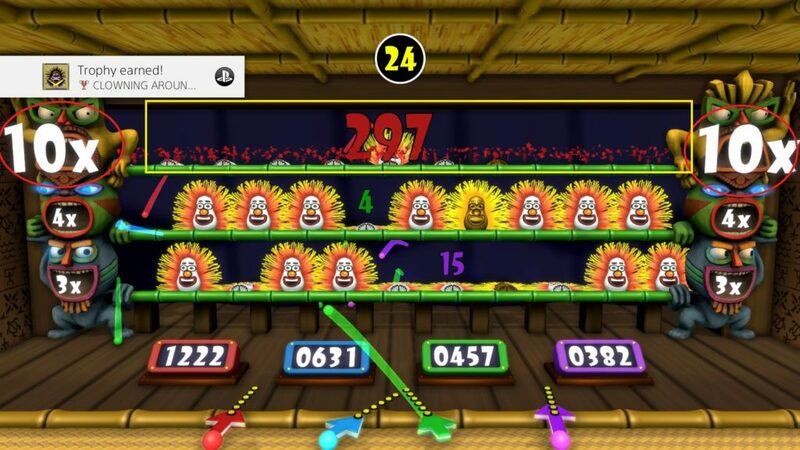 Just keep spamming the balls and you should get a cluster of 25 cups fairly easy. Win against 3 hard A.I. players! Just keep spamming the “X” button while trying to go for the cups that are the furthest away, the A.I will mainly focus on the ones in front. Hit a home run 5 times in a row! You will need to get 5 home runs in a row. This can be tricky at first, but you should get the hang of it pretty quickly. You should press “X” when the ball is near the last grass patch, and you will hit the ball when it’s pretty close to you. This will make it fly out of the stadium. See the GIF below if you are having trouble hitting a home run. Just keep hitting as many home runs as possible and you will win this fairly easy. Collect 3 bunches on a single jump! This one can be a bit tricky. I played this one with 3 controllers, so I had 2 players idle. 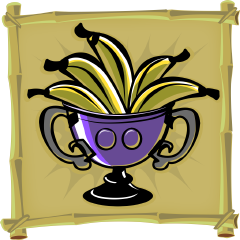 This gave me less to obtain 3 bananas in a single jump. 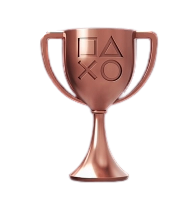 Put the AI on easy, to increase your chance of getting this trophy. With a bit of luck, 3 bananas will line-up next to each other. Try to collect them in one jump, timing the jump correctly with “X”. See the GIF below if you are having trouble. Just collect as many bananas as possible. When given the opportunity, jump on top of the head of AI’s. This will earn you 1000 points, which is rather much! 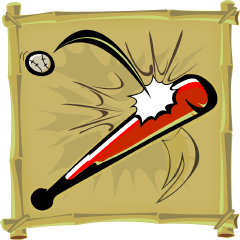 Get a 10 streak of successful throws! This one is all about timing and getting the feeling for the game. You will have plenty of time to take it a bit slower than usual games. Try to only throw when the basket is at his lowest and highest point, this will make it easier for you. Should only take a few tries before you get the hang of it. Throw as many ball through the basket and you should win fairly easy. Get the top row up to 10x! This one is best earned when playing with 3 AI players (or friends). You will need to focus on the upper row, which will start with a bonus of x5. 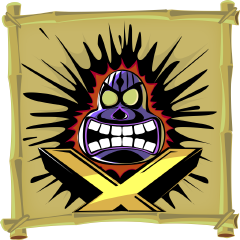 You will need to hit all clown faces once to reach x6. 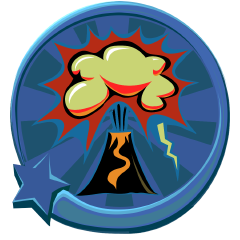 Do this 5 times and you will have the x10 bonus which will earn you this trophy. Just hit as many clows as possible. Try to focus on the upper row, and shoot any golden clown you may see. Score at least 1500 points in one game! This one is a bit tricky and requires a bit of luck. You will need to obtain 1500 points, which is a bit high. Try to focus on the white start, these will earn you somewhere between 80-99 points. The fully red ones will only earn you around 8 points. Try to make short turns and stay away of the black holes. You should win a game against hard A.I if you follow the tips as described above. Get the maximum score on 5 gates! I would suggest playing this game with 2 idle controllers so you have more space to collect the yellow bullets and fly through the circle. 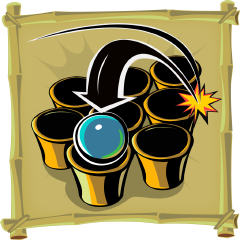 While attempting this trophy, you will need to fly through the middle of each circle and collect as many yellow bullets as possible. See the video below if you are having trouble. Try to fly through the middle of the gates and collect as many yellow bullets as possible. Pressing “X” will create a force field, which will push enemies away. Use this when approaching a gate. Make 5 consecutive shots into a 100 hole! Only shoot when the arrow is all the way to the left or right. Then give it around 3 bullets of power. It should go in the 100 hole, after a few tries you should get the hang of it. Just keep spamming the balls while trying to aim for the higher points. You should be able to win fairly easy. Get all 8 of your balloons on 3 different wheels! This one is fairly easy. Can be done with a few friends or against 3 easy AI’s. You will need to pop all balloon and keep them red on 3 different wheels, during one game. Just start with the left ones, and only stop hitting a wheel after all 8 balloons are red. Then make your way to a new wheel and start popping those balloons. Pop as many balloons as possible and try to hit the smaller ones first. 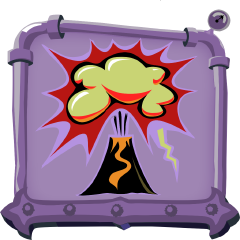 Unlock 5 games and this trophy will pop. Throw as many strikes and you will most likely win. Try to take your time, even though its limited with a timer. Hitting the pawns in the middle has the highest chance of getting the most points. Win a Decathlon Tournament against 3 hard A.I. players! See “TEAM TITANS” for more information on this. This is really easy to obtain, the A.I is terrible at this game. Go for the ones closest at you first, then make your way upwards. Collect a speed bonus of 1100 points! You will need to shoot the ball in the hole with the golden glow, this will earn you bonus points. Make sure you put the AI’s on easy, so they don’t bother you too much. Now gather as many points as possible by aiming at the golden hole and shooting as many balls as possible, before the timer is below 1100. You should be able to win if you keep your focus on the golden hole and keep spamming balls. 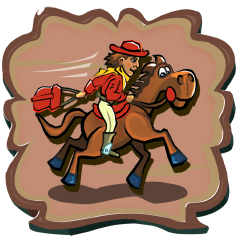 Place first without hitting any barrels, hay bales, or mud! This seems hard, but it’s fairly easy. Just take it easy early on, as the AI’s will walk before your feet. 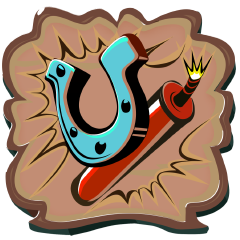 Try to collect some speed boosts and use these while on the straight part of the race. Collect as many corns for speed boosts and use them as often as possible. This should earn you the first spot. Blow up 5 dynamite sticks in one game! Set the AI to easy and focus on the dynamite. Don’t shoot anything else besides the dynamite. 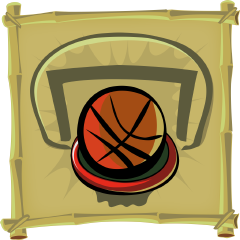 Keep shooting everything that pops out and you will be able to win fairly easily. Get 5 or more ringers in one game! 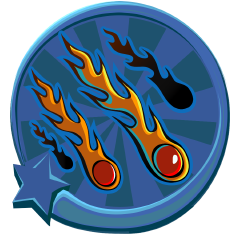 You will need to make 5 ringers explode during one game, it’s even very easy to make 5 explode at once. Just hit the left middle ringers as seen below, and the trophy will pop. 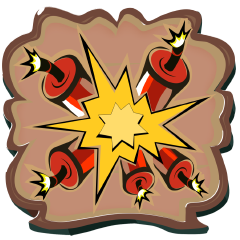 Try to hit the middle ringers so you can chain up the explosion. It will make you win fairly easily. Keep standing underneath a dispenser and wait until you are fully loaded. Now walk through the middle, avoiding the machine’s on the sides. 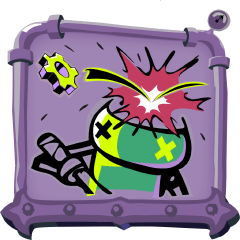 You can use R2 to activate a shield that will protect you from collisions for a short period, in case an A.I starts being annoying. 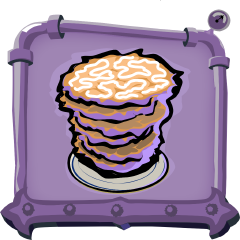 Bring as many pancakes to the other side as possible. Try to go for the stacks with blue ones in it and use your shield actively. 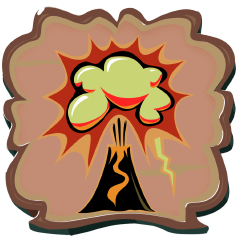 Pop 3 enemy balloons: 1 directly then 2 more with falling pieces! This one can be tricky to obtain, and can be farmed by using a friend to help you out. 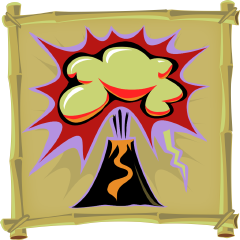 Align your friends’ air balloon underneath each other and hit an AI above them, it should destroy everything underneath. 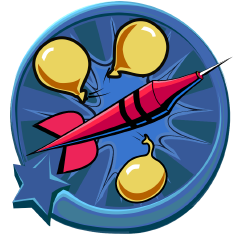 Keep your ship alive for the duration of the game, while killing the other balloons. Try to go for a multiplier of x9 and you will win this game mode. Kill 10 or more skeletons in one game! Put the A.I on easy and attach a few extra controllers so you can shoot in peace. 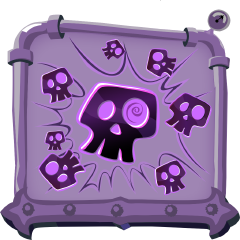 Once the game starts you will need to focus on skeletons(So not the zombies!). Kill 10 of them and this trophy will pop. Do note that some zombies are attached to the windmill, and a few behind the fence. They will disappear rather quick, so make sure to shoot accurate and fast. The start will a bit tricky, as the AI will start shooting even before you can see something. So shoot as fast as you will encounter enemies. Just keep holding the “x” button down, as accuracy doesn’t really matter during this run. Hit a Blocker in the head 5 times in a row without missing a shot! You will need to hit a blocker 5 times in the head without missing. The blockers will move, so it’s a bit tricky. I joined with 3 local players, and let 2 stay idle. The 4th player was an easy AI. Now wait until the blocker joins the game, as it will only join after a few seconds. Take your time and aim for its head. See the GIF below if you are having trouble. Shoot at the timer behind the keeper to earn points, you can also aim at the blocker’s head to earn points, but those are a bit more tricky. Catch all of your 100-point gears! You will need to collect all gears that have the number “100” on it. I believe there are 3 or 4 present during one game, with your color(red). Be aware that the AI can grab them too. If you are having trouble, join with a few extra accounts and leave them idle. Try to collect all your red gears. Golden gears will double your points, from a gear you collect. Try to collect a golden gear and then collect a gear that’s worth 70 points or higher, this will double the points up to 200. 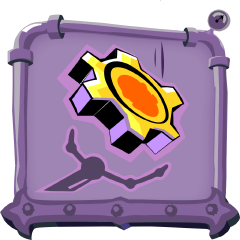 You can also collect the gears from other colors that are worth 80 points or higher, to deny them a good score.